Download, print or order OSAC's and partner organizations' publications and resources. 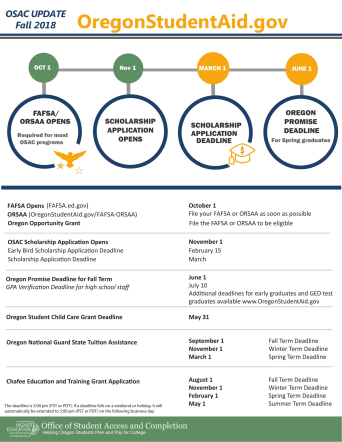 This poster is a quick guide to OSAC funding programs and deadlines, including a variety of scholarships and grants. 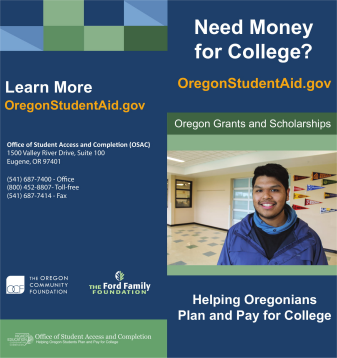 This brochure provides an overview of OSAC programs and financial aid opportunities. The Ford Family Foundation offers two different poster styles that explain Ford Family scholarship opportunities and how to apply. This bookmark is a quick guide to the four The Ford Family Foundation scholarship programs, eligibility details, and contact information. 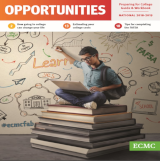 The Educational Credit Management Corporation (ECMC) Opportunities booklet contains information to help high school students prepare for postsecondary education, choose a college, and apply for financial aid. Includes financial aid issues such as filing a Free Application for Federal Student Aid (FAFSA), sources of federal and state aid, and eligibility criteria. 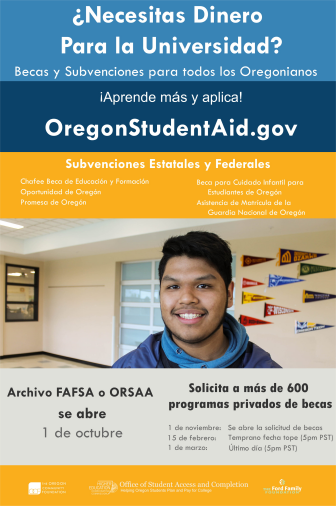 The Oregon information section contains details about funding programs administered by OSAC. These promotional materials contain information about financial aid opportunities for current and former foster care youth. 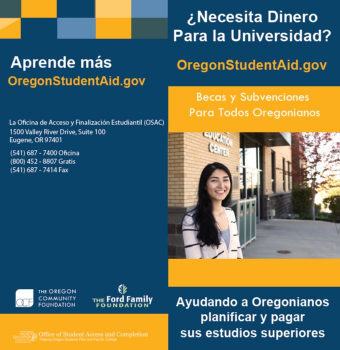 New OregonStudentAid.gov outreach postcard to share with students and families. 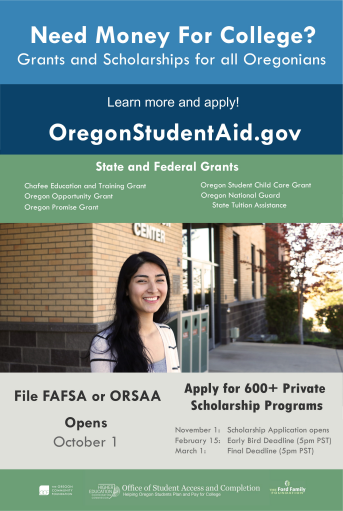 This handout provides an update on OSAC programs, deadlines for financial aid opportunities, college fair dates, and more. 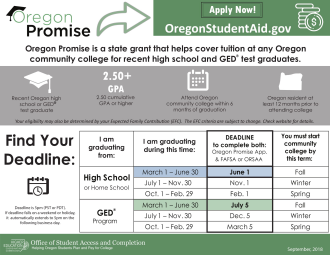 This handout provides information on rolling deadlines, eligibility requirements, and application guidelines for the Oregon Promise Grant. 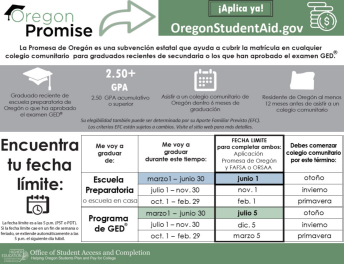 This resource is a quick guide to the Oregon Student Aid Application (ORSAA) and how to complete it. 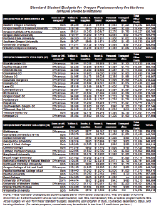 This document lists the estimated average cost of students attending various Oregon postsecondary institutions.